Menopause hit Darcey Steinke hard. First came hot flashes. Then insomnia. Then depression. As she struggled to understand what was happening to her, she slammed up against a culture of silence and sexism. Some books promoted hormone replacement therapy. Others encouraged accepting the coming crone. Beyond that, there was little that offered a path to understanding menopause in a complex, spiritual, and intellectually engaged way. She felt lost until she encountered a scientific fact that had escaped her through the early stages of dealing with this life change: the only two creatures on earth that go through menopause, she discovered, are human women and female killer whales. Her fascination with this fact became the starting point for Flash Count Diary, a powerful exploration into aspects of menopause that have rarely been written about, including the changing gender landscape that reduced levels of hormones brings, the actualities of transforming desires, and the realities of prejudice against older women. Steinke learned that in the seventeenth century women who had hot flashes in front of others could be accused of being witches, that the model of Marcel Duchamp's famous Étant donnés was a post-reproductive woman, and that seeing whales in the wild can lead to orcagasms. Flash Count Diary takes readers from Brooklyn to the red light district in Amsterdam, and finally to a watery encounter with a wild killer-whale matriarch in Washington State’s Salish Sea. Flash Count Diary will change the way you think about menopause. 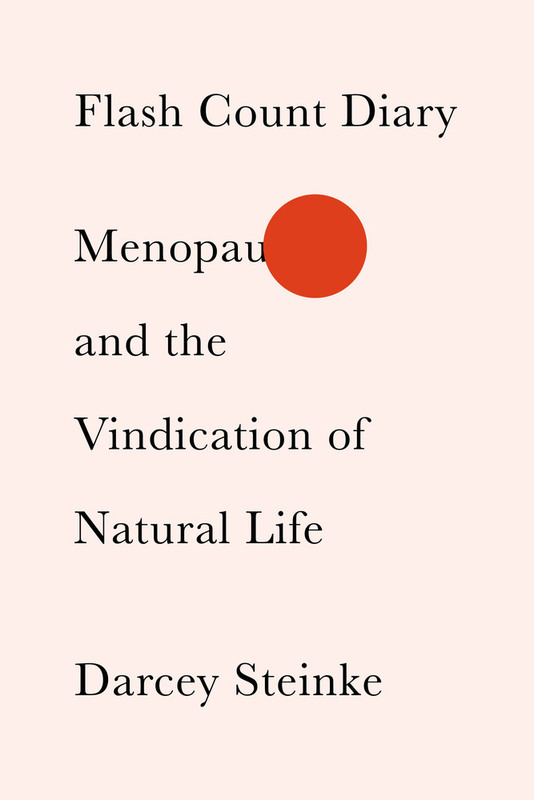 It’s a deeply feminist book, honest about the intimations of mortality that menopause signals but also an argument for the ascendency, beauty, and power of the post-reproductive years in women’s lives. Darcey Steinke is the author of the memoir Easter Everywhere and the novels Milk, Jesus Saves, Suicide Blonde, Up Through the Water, and Sister Golden Hair. With Rick Moody, she edited Joyful Noise: The New Testament Revisited. Her books have been translated into ten languages, and her nonfiction has appeared in The New York Times Magazine, The Boston Review, Vogue, Spin, The Washington Post, Chicago Tribune, and The Guardian. She has been both a Henry Hoyns Fellow and a Stegner Fellow as well as a writer in residence at the University of Mississippi, and has taught at the Columbia University School of the Arts, Barnard, the American University of Paris, and Princeton.